Unless you have specialized in creating vintage black and white designs, which is highly unlikely, you need to work with color as a designer. Here are some tools that will make your life easier. Color Hexa is a tool that gives you all the information you need about a specific color. It will tell you if a color is web safe, give you some color schemes suggestion, shades and tints, provide you with various useful codes, or help you visualize how color blind people will see that color. Having doubts when setting the color of your text? Not sure whether it will be readable enough? Just try your color in the Contrast ratio tool and get a grade for your contrast, you’ll get some useful recommendations. 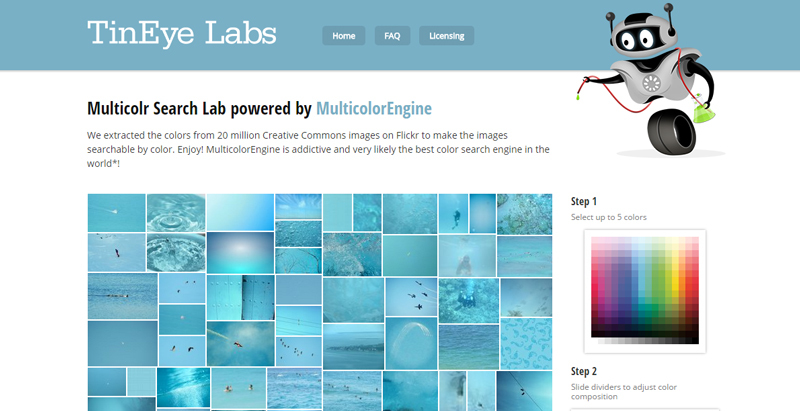 This one is very useful if you need images with a specific color in your mockups or layouts. Just pick a color in the color picker on the right hand side, then TinEye will load a selection of Creative Commons images with that color. Try it out! 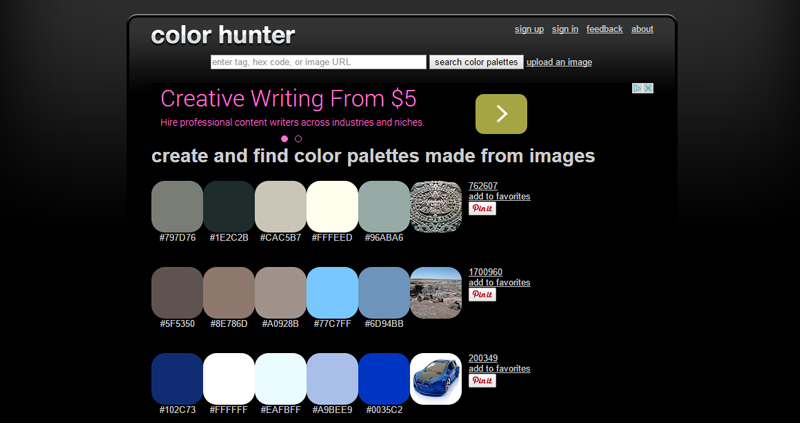 As the website name suggests, Color hunter will go look for color information for you. The concept is simple, you either enter an image’s URL or you upload an image, and Color hunter will produce a color palette from this image. This is useful if you want to take inspiration from an image or an artwork. A good website to start becoming more accurate when naming your colors. Consider it more like a learning tool if you never bothered really naming your colors properly, or if like me you are not a native speaker of english. The website has a range of 147 colors that you’ll learn how to name properly, time to start sounding like a designer. I’ve been using ColorZilla for ages now, and it’s been saving me tons of time. This color picker can be installed as a browser extension for both Chrome and Firefox. Point any space on your screen, adjust the color, then copy-paste it to use it in your design. 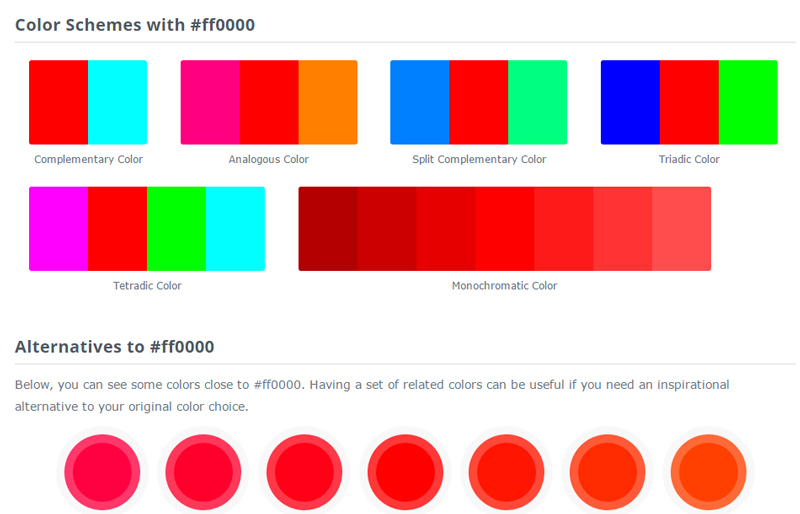 If you enjoy creating flat designs, this is the tool you need to make your color selection. With colors classified by groups, it gives you a range of colors that are particularly appropriate for use in flat designs. For web developers working with CSS preprocessors, this tool will prove incredibely useful to save you time. 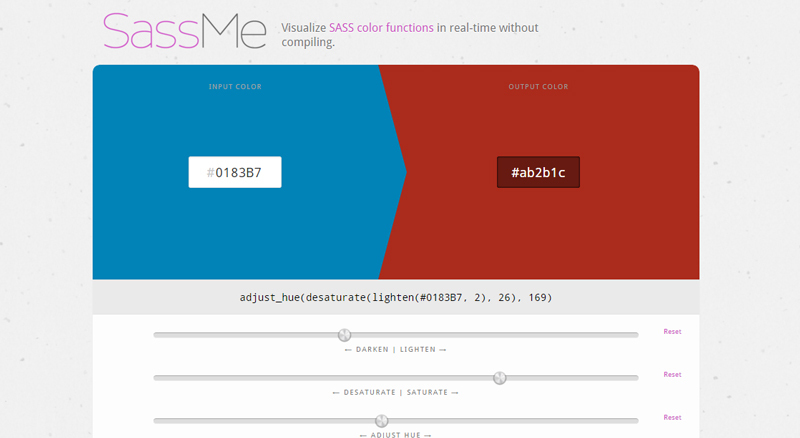 With SassMe, you can visualize SASS color functions in real-time without compiling.